Join us for a informative panel discussion with members of BCPWN that specialize on marketing & social media to help grow your business. 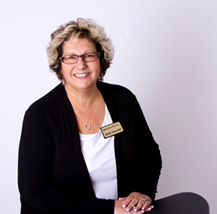 Susana is an experienced and engaging speaker and the owner of Right Click Advantage LLC. Susana is a Digital Marketing Strategist, Constant Contact Master Certified Solution Provider, Authorized Local Expert and Product Trainer. Susana has served small business customers of diverse industries, providing email marketing design and digital marketing strategy. 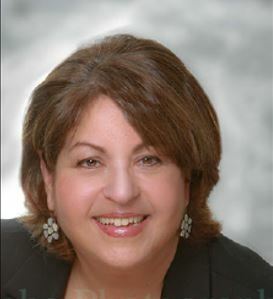 Susana has delivered presentations on Digital Marketing best practices throughout NJ and NYC to professional organizations such as SBDC, SCORE, Microsoft; at events such as the NY Expo and the NY Marketing Expo; as well as numerous chambers and professional organizations. Social Media Brand Strategist, Business Consultant, and Speaker, Karen Yankovich is the CEO of Dimare Group, LLC. Having “been there and done that” in the arena of losing (and then re-finding) a focused approach to business and life, Karen now offers coaching and consulting for entrepreneurs. Her unique specialty blends her “get it done” attitude with a passion for soulful living in her personal services and online workshops. Social Media and LinkedIn Evangelist, Karen guides entrepreneurs to creating wealth by combining smart business practices with simple proven systems that develop and maintain strong customer relationships. She offers results oriented and expert Conversational Marketing strategies that position her clients to bring in instant results. Karen’s background includes over twenty years in the fields of information technology, marketing, and customer relationships, making social media her ideal niche. Beth Donalds provides big business solutions for small business owners and entrepreneurs. Equal parts CFO, marketing strategist and operations guru, Beth combines 30 years of corporate finance and operations experience with a practical approach to resolving your business challenges. She provides the know-how and hands-on support needed to improve day-to-day operations, shape sales and marketing strategy, and implement tactical plans to drive bottom-line results. Beth is licensed CPA in New Jersey and a member of both the American Institute of Certified Public Accountants and the New Jersey Society of Certified Public Accountants. Beth received her BS from Trenton State College and her MBA from Fairleigh Dickinson University.